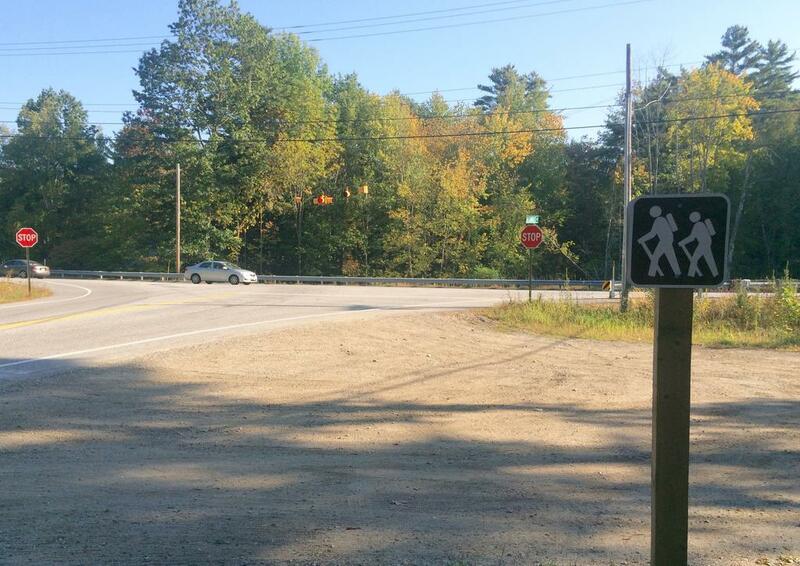 The Presumpscot Land Trust on Oct. 21 is planning to open a new one-mile trail in Westbrook at the intersection of Route 302 and Methodist Road. WESTBROOK — Between the addition of new trails and the consolidation of existing organizations, more land is being preserved and made accessible in Westbrook and Gorham. The Presumpscot Regional Land Trust on Sept. 17 decided to incorporate Gorham Trails Inc. and take responsibility over its land. The land trust is also adding one mile of new trail near Prides Corner in Westbrook. According to Rachelle Curran Apse, the executive director of the Presumpscot Land Regional Trust, the board of Gorham Trails presented the idea to consolidate over a year ago. After consideration by the land trust’s board and a vote by its membership, the deal was approved. “In Gorham Trails’ case they realized it made more sense to work regionally and we agreed that it would better serve their goal of providing trails to Gorham residents if we worked regionally,” Curran Apse said. The Gorham Trails organization and board, which was comprised solely of volunteers, has been dissolved. In a press release, a former board member said the land trust is “the ideal steward” for Gorham Trails. The consolidation adds three trails, a total of two miles, to the Presumpscot Regional Land Trust. This brings the total number of preserved lands within the land trust to 33, with 14 of them being publicly accessible. The conserved land within Gorham Trails “starts adjacent to the Access Road to Gorham High School and connects to the town owned land adjacent to Gorham Middle School,” according to a press release from the land trust. Curran Apse said Gorham Trails also had 10 conservation easements and two field parcels, all of which have the potential to become new trails. She said the land trust is working on prioritizing the lands and determining which ones to begin creating trails on first. “It’s always about finding the balance of which trails would be best to open,” she said. Curran Apse said obtaining trails and land from Gorham Trails allows the land trust to work with the town of Gorham to educate the public. She said brochures and maps, which are available at Baxter Memorial Library, Gorham Parks and Recreation, Gorham Town Hall, and online, have been created. The Presumpscot Regional Land Trust is also planning to open a new trail in Westbrook next month. The one-mile trail, which will be accessible at the corner of Route 302 and Methodist Road, will connect to three miles of trails that were recently created. The trail opening and inaugural trail walk will take place Oct. 21 at 10 a.m.
Curran Apse said she is excited to be preserving more land and adding new trails to the land trust. She said it’s important for people to enjoy the outdoors and that she hopes the land trust continues to make this possible well into the future.